General layout of the Website. One single flow content, top to bottom. 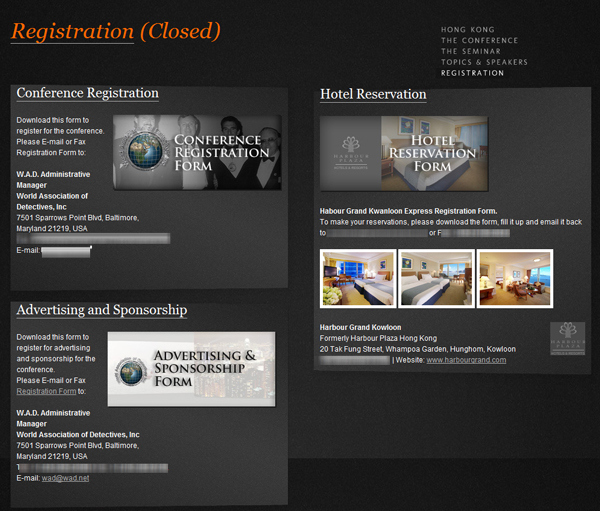 With quick access to registration forms (downloadable registration form, as per clients request). © Copyright 2011. 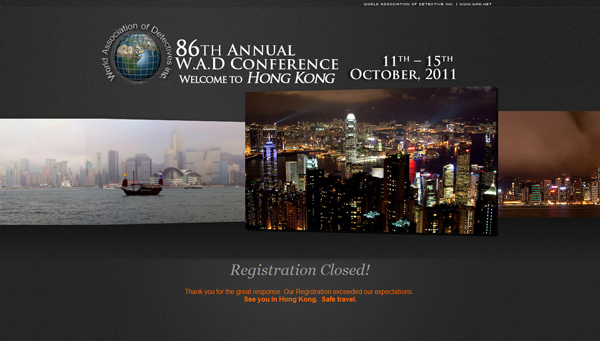 86th W.A.D Conference, Hong Kong. World Detectives Association Inc.